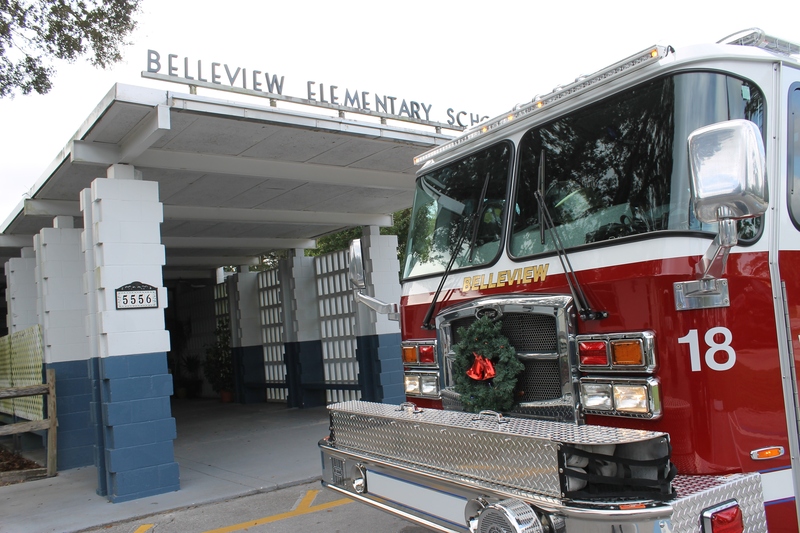 Ocala, Florida – Marion County Fire Rescue firefighters delivered approximately $25,000 worth of toys to 15 Marion County public schools on Thursday, wrapping up the department’s annual Holiday Helpers drive. For six weeks, firefighters collected gifts and donations from residents at all Marion County Fire Rescue stations. On Dec. 17, firefighters loaded toys onto several fire engines and took them to schools across the county. From there, guidance counselors and administrators handed the toys out to parents who requested, and qualified for, assistance. In addition to the toys dropped off at MCFR’s career stations, firefighters received more than $8,000 in cash donations from residents and community partners, such as Fire Rescue Support, the Professional Firefighters of Marion County Local 3169 and the Marion County Firefighter Benevolence Fund. They used these funds to purchase additional toys to fill needs on the children’s lists. In all, with the help of the community, Marion County Fire Rescue firefighters were able to sponsor more than 80 families and provide 337 children with approximately $25,000 in gifts. To spread additional holiday cheer, Marion County firefighters took part in a “Random Acts of Kindness” Day at the Silver Springs Shores Walmart on December 16. Families that were shopping in Walmart were surprised as firefighters purchased their carts of toys and food. MCFR is a professional fire rescue department comprised of 31 stations and about 500 employees. The department’s full-time, state-certified firefighter/paramedics, firefighter/EMTs, EMTs and paramedics respond to an average of 200 emergency calls a day. These emergencies include structure, brush and vehicle fires; medical emergencies; vehicle accidents requiring extrication; hazardous materials incidents; natural disasters and many others.